All Continental style buffet breakfasts are included. Lunch and Dinner - there are numerous restaurants along the route with a selection of menus of two or more courses and the route notes will provide more details to help you decide. Self-guided cycling also lends itself really well to picnics. You can stop wherever you please, in a spot that suits you and eat your lunch taking in your chosen view. On leaving Vienna the route takes you through extensive flood plains, which have turned into small ponds offering a rich habitat to countless species of birds, animals and insects. You will follow the Donauinsel, a long, thin island and continue to one of Austria's most important archaeological sites, the Roman remains at Petronell-Carnuntum. Much of the track is gravel/grit but is comfortable to ride on. 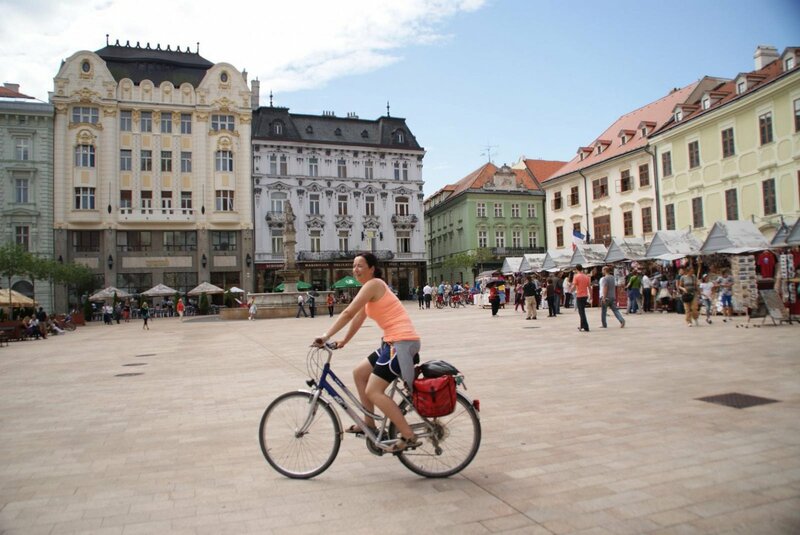 You end your day in Slovakia's pretty capital city of Bratislava, where there are plenty of options for a hearty meal and a drink after your ride. 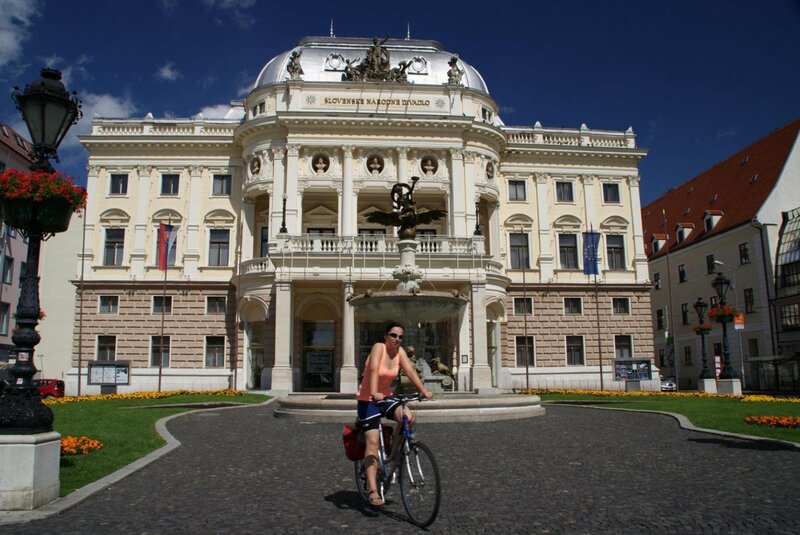 Today you pedal along riverbanks in the flat Danube Valley, passing quaint villages and lush vineyards. Fitter cyclists can choose a route over Tata, but be aware this is more strenuous and there are no shops and restaurants along the way. Those interested in the history of the area should plan some time for the Roman archaelogical site of Kelemantia, where a military camp stood from the 2nd to the 4th Century. The absolute highlight of the day however, is Esztergom (also known as Hungarian Rome), with the largest basilica in the country. Take some time for a comprehensive visit, before boarding a riverboat to Visegrad. Leaving Visegrad, you reach the Danube Bend, probably one of the most attractive sections of the Danube bike trail. Here, the river winds its way through the Visegrad Mountains and makes a sharp turn towards the south. The Royal Palace and castle of Visegrad, and the open air museum are well worth a visit, as is the old Baroque town of Szentendre. 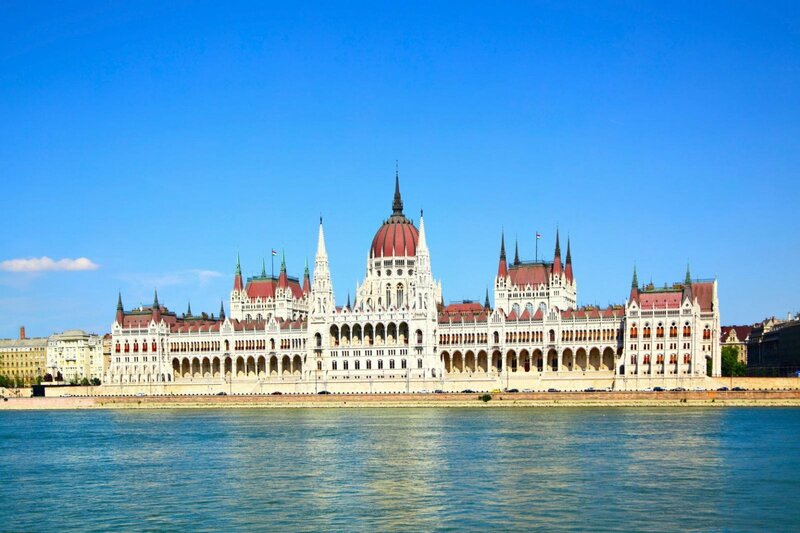 Here you can choose to cycle onwards to Budapest (approx 25km) or take a leisurely boat ride into the centre of the city and appreciate the stunning architecture. On many occasions in the route it is possible to shorten the day's ride by taking the train or a boat - this will be detailed further in the route notes. As this is a self-guided holiday there is no group and no leader. There maybe others on the same departure date as you, but you will not be organised together. The routes notes contain an emergency assistance telephone number should you need it and in emergencies, the hotels are normally able to dispatch a taxi or pick you up themselves. They may wish to charge for this service. Self-guided cycling holidays are a perfect option for families as they offer the freedom for you to take your holiday at your own pace. You can stop as and when you want and need, at the cafes and restaurants that suit your family and the sites that interest you. As a guide we have suggested that 12 years is the minimum age for this trip, but as it is self-guided and you will be leading your own family we will ultimately leave this decision up to you. The daily distances are all published in the trip notes along with a description of each days cycling so you have a good idea of what to expect. Please be aware that some of the cycling on this route is along busier roads so any children must be confident at cycling alongside traffic. If you have any further questions please do not hesitate to contact one of our experts. The principle idea is that these holidays can be as flexible as you like, with logistical support but no group or leader to dictate the daily activities. 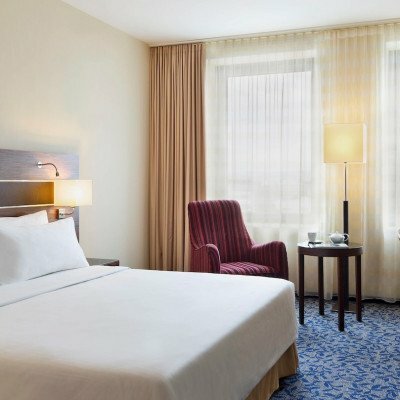 This modern, luxurious hotel is centrally located in the heart of Vienna, close to the Messe Wien and just 500m from the Danube. All rooms offer Wi-Fi, flat-screen TV, soundproof windows, deluxe bedding and ensuite bathroom. There are excellent facilities including a wellness centre with a modern gym, sauna, steam bath and relaxation room (open from 6am to midnight and complimentary for guests of the hotel). If this hotel is not available, an alternative of a similar rating will be provided. 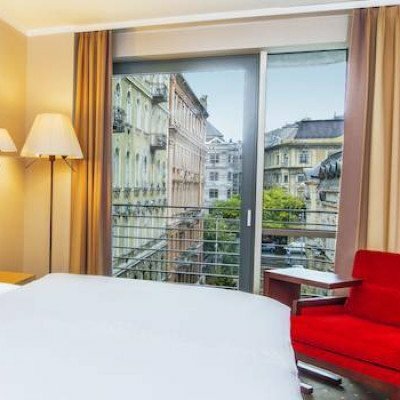 The elegant Hotel Devin is located a stone's throw from the Danube in Bratislava's historic centre and has been welcoiming guests for over 60 years. With views either over the river, or the city towards the castle, the rooms offer a comfortable base from which to explore the delights of the city. Great facilities include a wellness centre with indoor pool, gym, spa therapies including Thai massage and a squash court, a lobby bar and a French restaurant. If this hotel is is not available, an alternative of a similar rating will be provided. 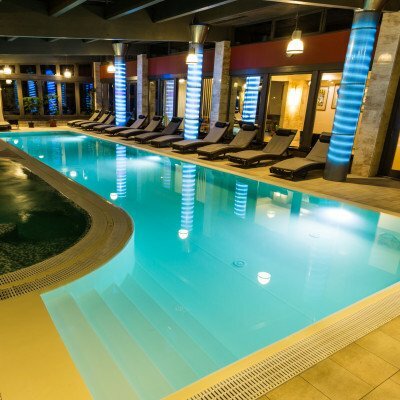 The 4-star Lajta Park hotel, situated in a quiet area close to the centre of the spa town of Mosonmagyarovar, offers a spa area and beauty salon where guests can enjoy a range of treatments.. All en-suite rooms have a seating area, TV, WI-FI and air conditioning. 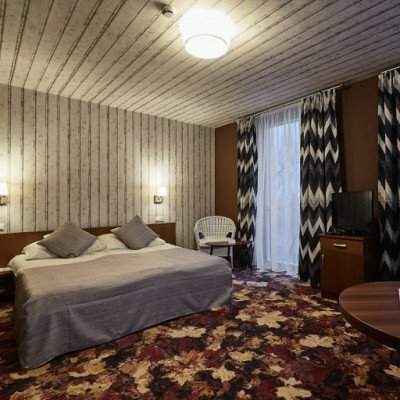 Situated in the popular Baroque area of the city, this 4 star hotel offers WI-FI, TV and mini-bar in the rooms, as well as on-site bar/lounge and cafe. Situated less than a mile from the Fortress of Komarno, the Penzion Bella boasts well-equipped en suite rooms, all with TV and shower. Just 100m from the Danube lies the Hotel Visegrad. With simple yet modern and well equipped rooms and a spa offering a range of health and beauty treatments, this is a great place to relax. 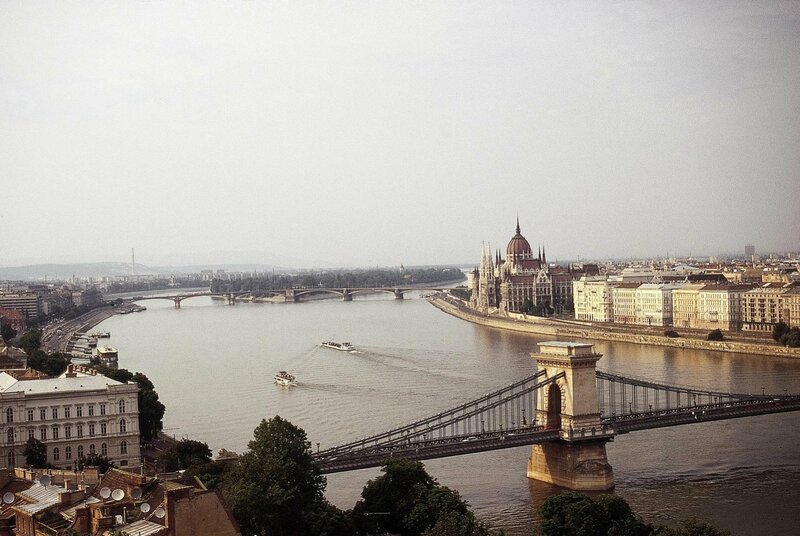 Located on the Pest side of the river, the hotel boasts 160 simple yet comfortable rooms. All rooms have TV as well as tea and coffee- making facilities. On the door step of the city's top attractions this is a perfect spot for discovering Budapest. Self-guided cycling Managed by our sister company, Exodus. Selected Saturdays from 27th Apr 2019 to 5th Oct 2019, for 7 nights. All dates are subject to availability, please contact us to check. It is possible to hire electric bikes for this holiday at a supplement of £100 per person. As these are available on a first come first served basis, we recommend early booking to avoid disappointment. On this trip we use well selected charming 4-star hotels and a 4-star pension, generally family owned. Hotels are confirmed near to departure. For a solo traveller there is an additional charge to cover transfer costs.